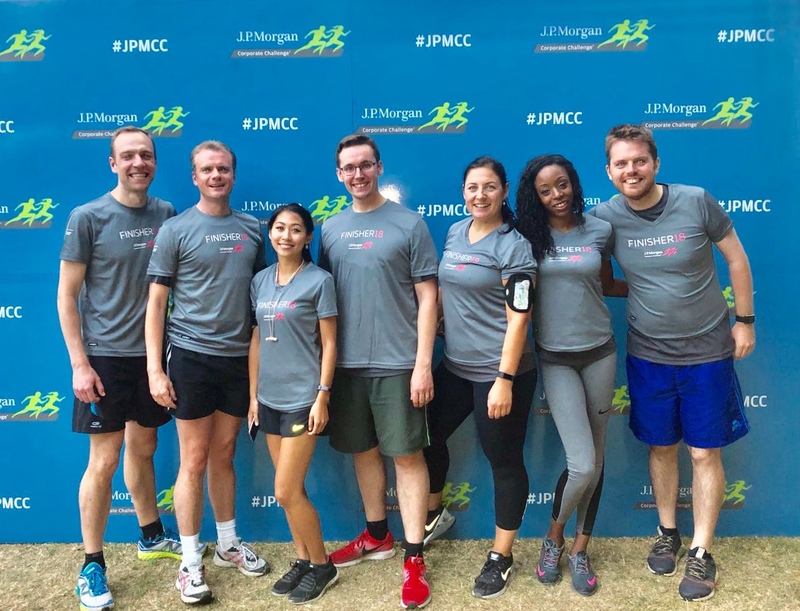 The London JP Morgan Corporate Challenge (JPMCC) was held over two warm nights in this World Cup summer of 2018. FSL, and its team of seven, alongside 15,203 entrants from 448 businesses gathered in beautiful Battersea Park on the night of 4th July 2018. Over the two nights the total swelled to 30,585 runners and walkers from 836 companies. The largest teams was J.P. Morgan with 1,886 employees entered, HSBC 850 employees, Bank of America Merrill Lynch 600, Goldman Sachs 500 and Morgan Stanley with 464 employees, taking part on the 5.6 km (3.5 miles) racecourse by the River Thames. FSL participated for the 5th year running, with previous years’ participants Zuzana Chroma and Ben Hart being joined by their colleagues and first-time JPMCC runners – Jane Pang, Charlene Dobbs, Michael Dugmore, Michael Edwards and Joe Hughes. The beneficiary of the London Corporate Challenge was Cancer Research UK, a national charity that funds over 4,000 scientists, doctors and nurses who work to save more lives by preventing cancer, diagnosing it earlier and developing new and kinder treatments. The donation from J.P. Morgan on behalf of all 30,585 participants is part of the more than $800,000 J.P. Morgan will provide to not-for-profits in every Corporate Challenge city, including organizations that support first-generation college students in Syracuse, NY, handicapped youth athletes in Frankfurt, Germany, the intellectually disabled in Singapore and the largest volunteer organization in Chicago. Well done to the FSL team for completing the 2018 JP Morgan Corporate Challenge and supporting a great cause! We hope to see you all back in the 2019 JPMCC.